WATER plays an essential role in yield productivity; however in the near future it is likely that many regions in the world will face water scarcity periods. Improving irrigation management can help adapting to water scarcity in the Mediterranean regions. 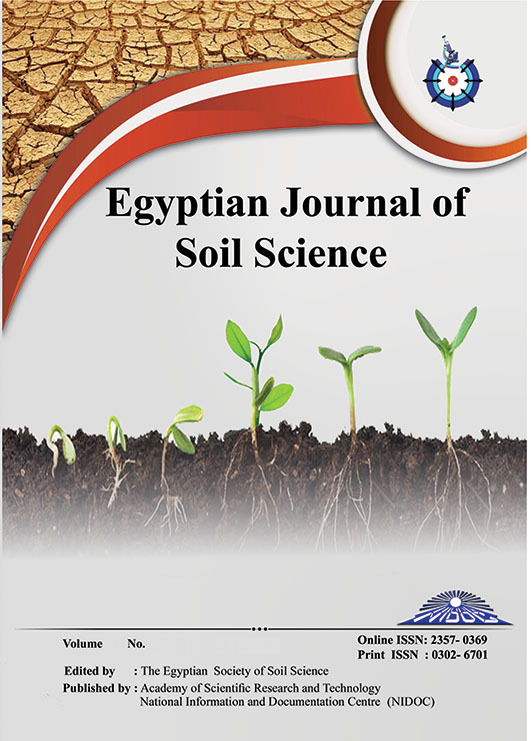 Field experiments to assess the effects of different irrigation water amounts on yield and soil nutrients were carried out during two successive winter seasons 2012/13 and 2013/14 , respectively on high saline soils at Sahl El-Tina, North Sinai, Egypt. Three irrigation treatments with 3600m3/ha (W1), 6000 m3/ha (W2), and 7200 m3/ha (W3, normal irrigation) from the El-Salam Canal were applied in a complete randomized block design, using faba bean (Saka-3, Vicia faba L.) as test crop. Soil salinity decreased with increasing water supply regimes by an average of 33%, 37%, and 48% for W1, W2, and W3, respectively compared to the initial soil salinity. The solute concentrations of the irrigation water change within the season from the analysed ions (Na+, K+, Ca2+, Mg2+, Cl-, HCO3-, SO42-), only magnesium, sodium, hydrogen carbonate, chloride and sulfate varied significantly during the year. Soil nutrients showed a descending order with increasing water stress. Nevertheless, the water use efficiency (WUE) showed another effect. Water regime W1 saves 50% of the supplied water and resulted in a WUE of 2.36 kg/m3 compared to W2 and W3 with 1.75 kg/m3 and 1.39 kg/m3, respectively. This expressed the great potential of deficit irrigation to save water, while producing stable yields and reducing soil salinization.